Chairman Graana group Shafique Akbar and president Malik Shahid Saleem signed the MoU. Director Graana.com Farhan Javed and RCCI officials were also present on the occasion. “Pakistan has huge potential of both the foreign direct investment and business. In coming years, our real estate sector is going to attract the foreign investment, He added that graana.com working to revolutionize the real estate industry of Pakistan and all its related sectors with professionalism and good practices”. “Our aim is to transform the real estate industry through technology. He further stated that the Graana with collaboration with (RCCI)is a positive step towards growth of real estate sector. Our mission is to provide overseas Pakistanis with a platform where they can feel secure for their investment when making deals in Pakistan’s real estate project”. 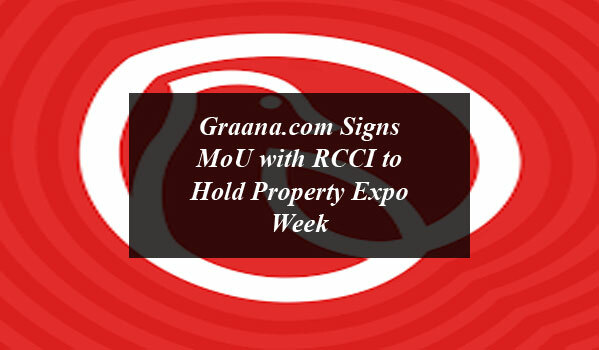 Graana.com Signs MoU with RCCI to Hold Property Expo Week. Graana.com, the smartest property portal of Pakistan has signed MoU with Rawalpindi Chamber of Commerce and industry to hold biggest Property Expo Week on the 12th-21st of April 2019.